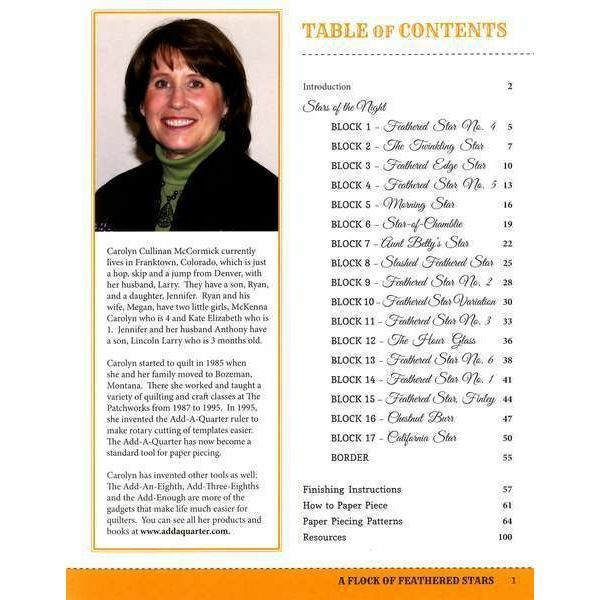 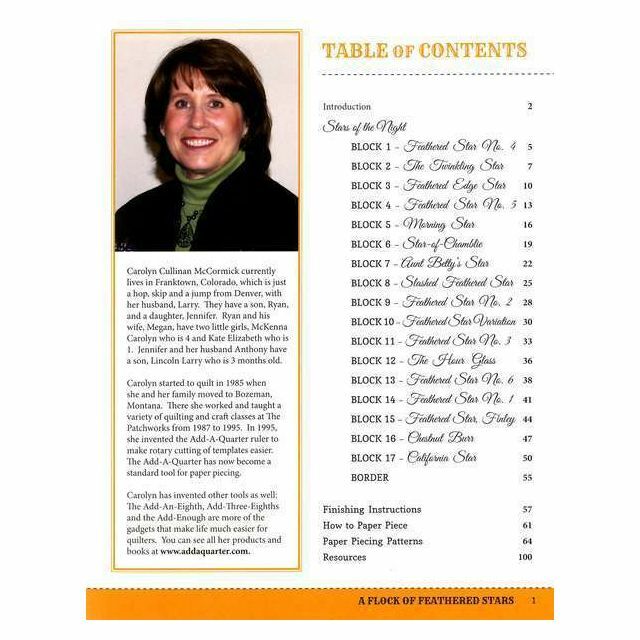 Carolyn Cullinan McCormick, inventor of the Add-A-Quarter ruler, has done it again! 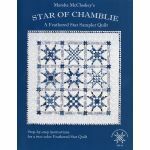 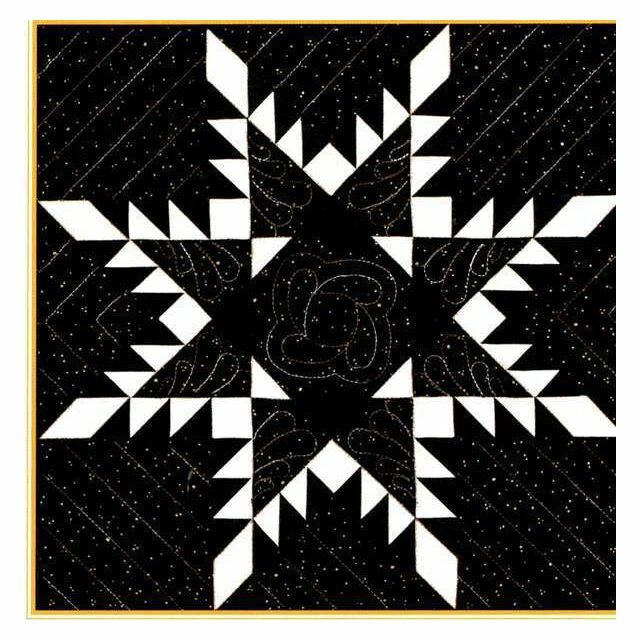 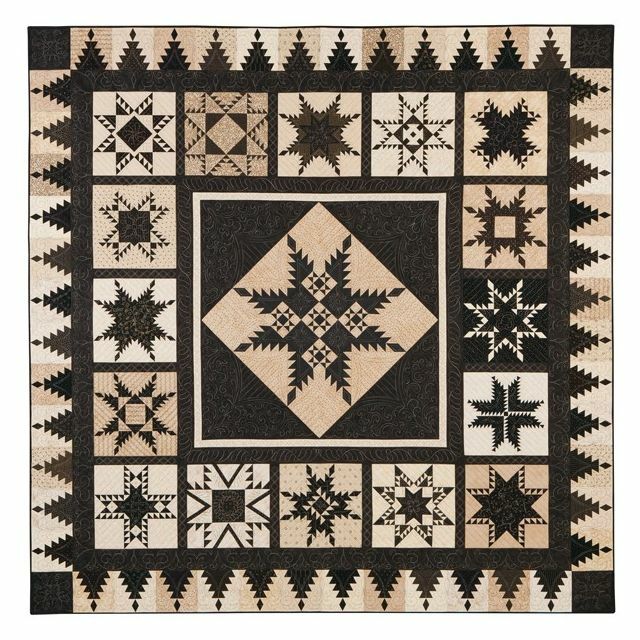 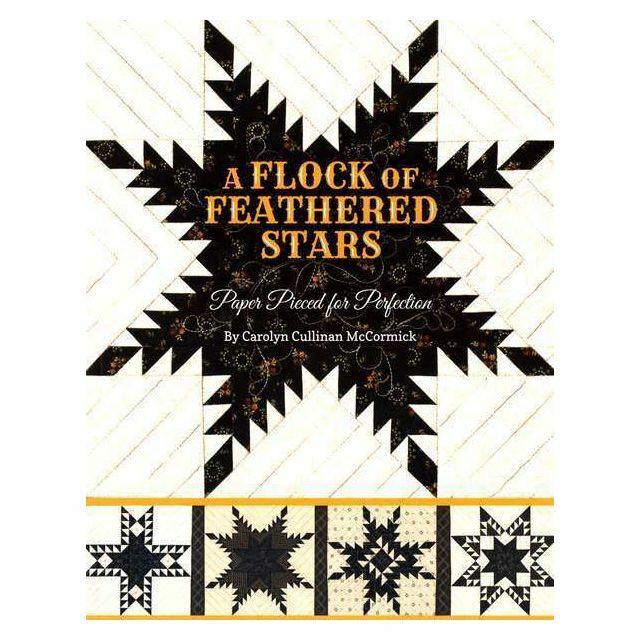 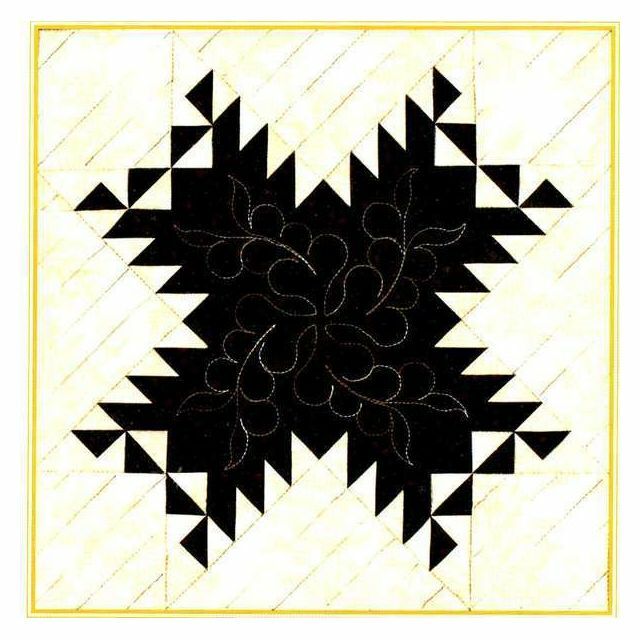 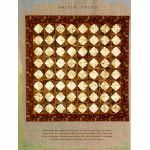 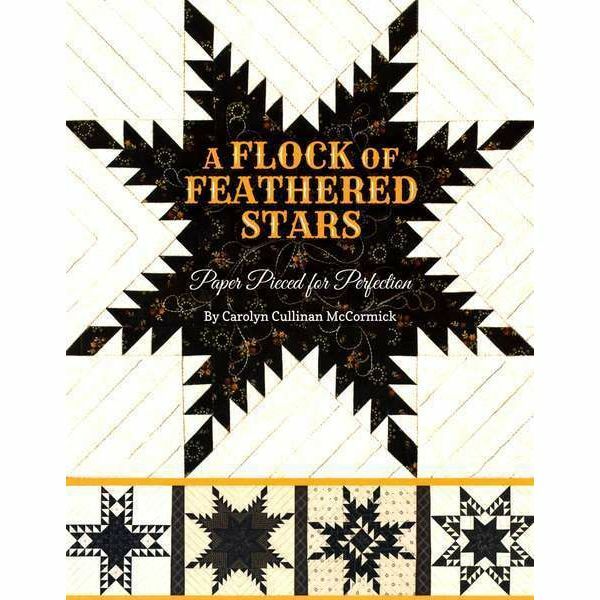 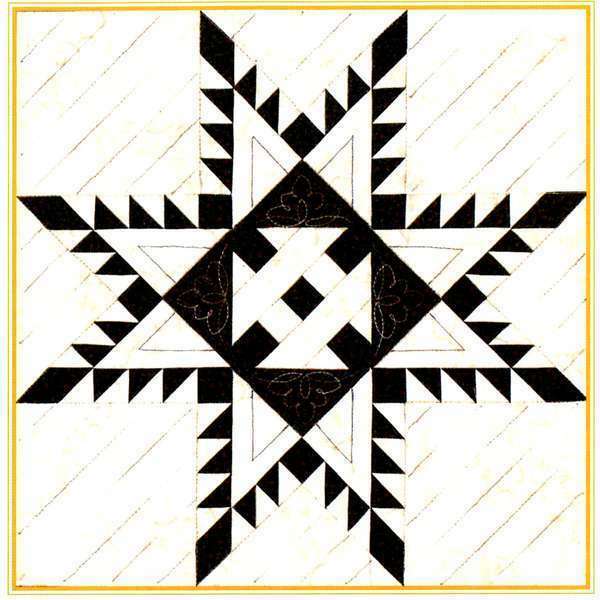 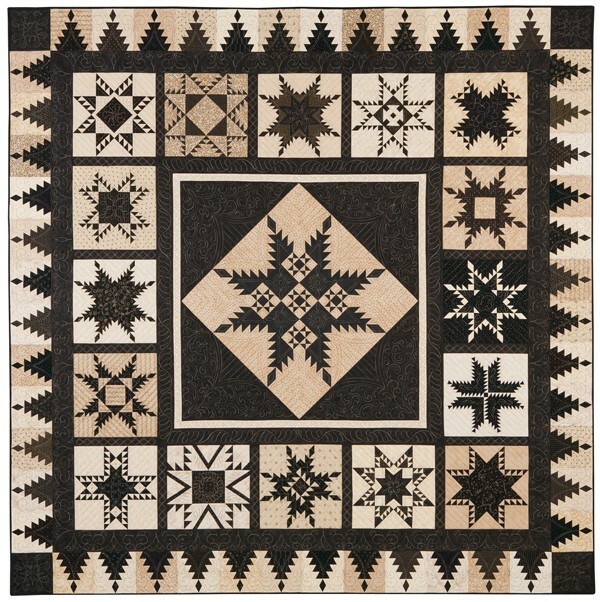 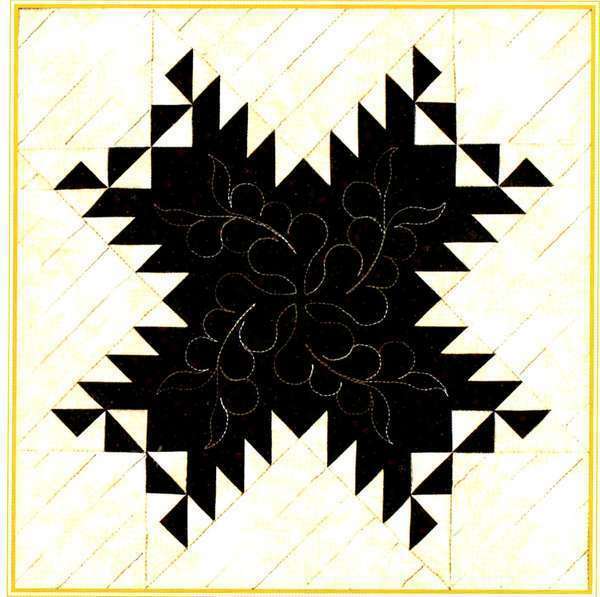 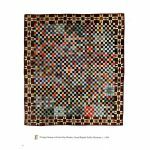 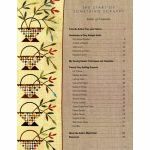 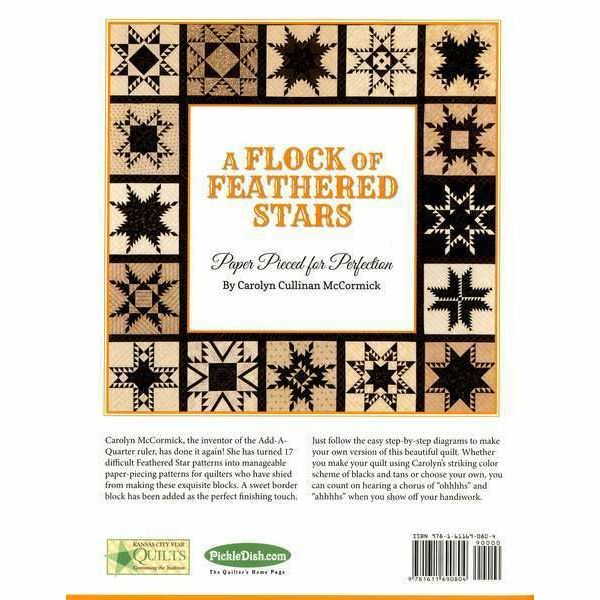 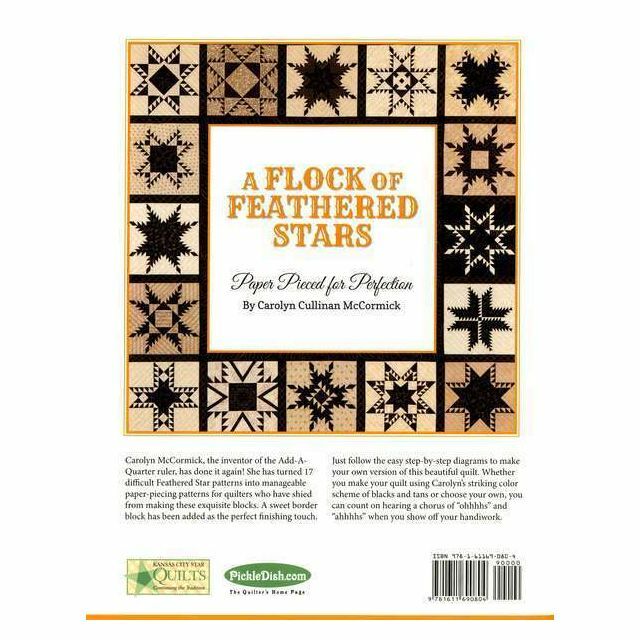 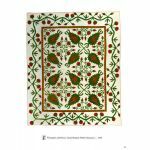 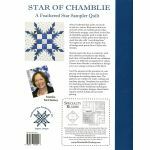 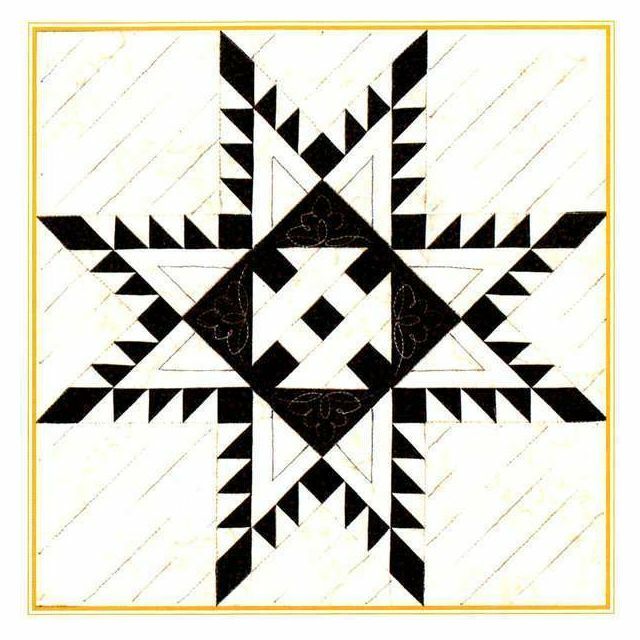 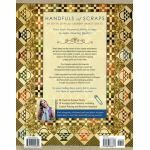 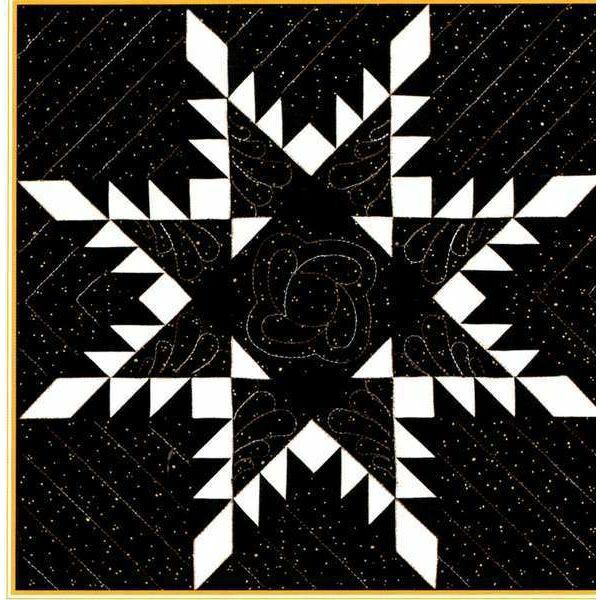 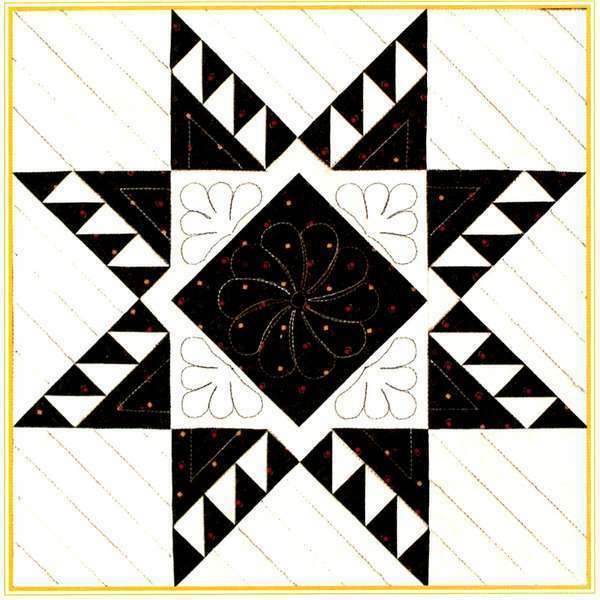 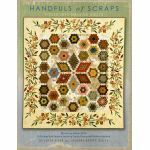 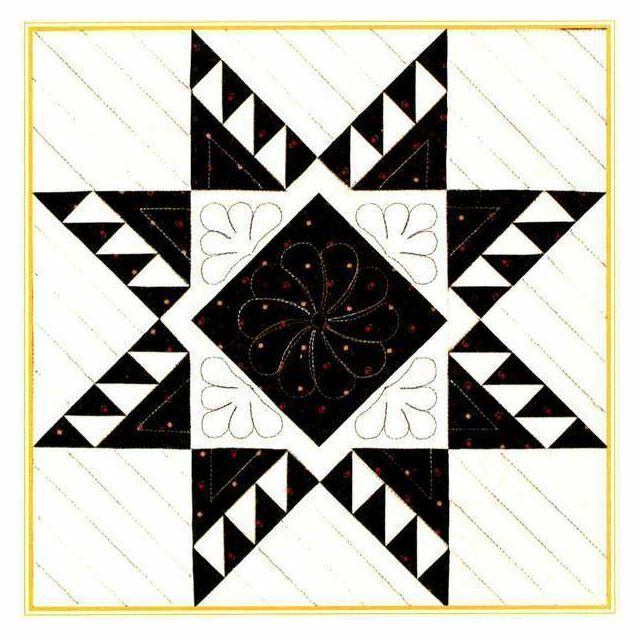 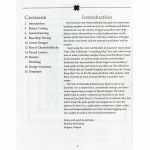 She has turned 17 difficult Feathered Star patterns into manageable paper piecing patterns for quilters who have shied away from making these exquisite blocks. 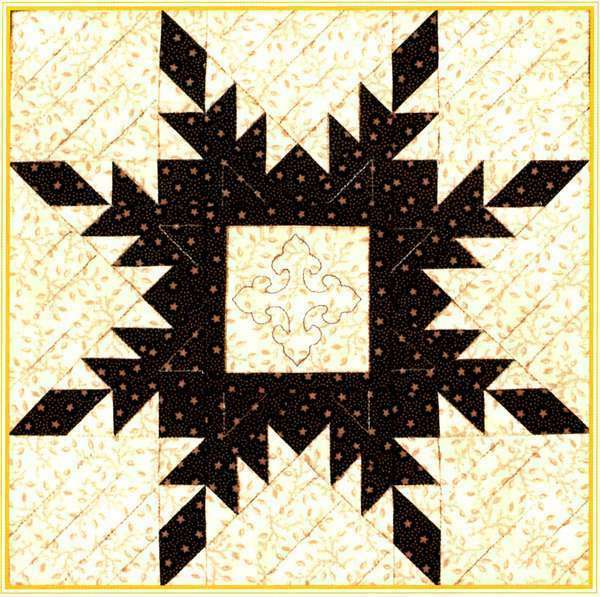 She has added a sweet border block as the perfect finishing touch. 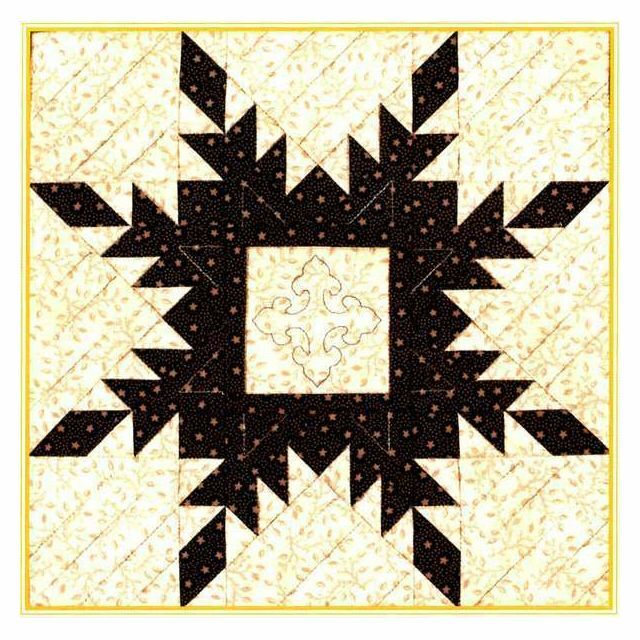 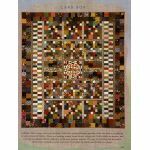 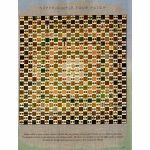 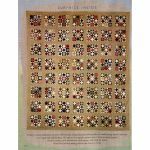 Just follow the easy step-by-step diagrams to make your own version of this beautiful quilt, and get ready to hear a chorus of oohs and aahs when you show off your handiwork.